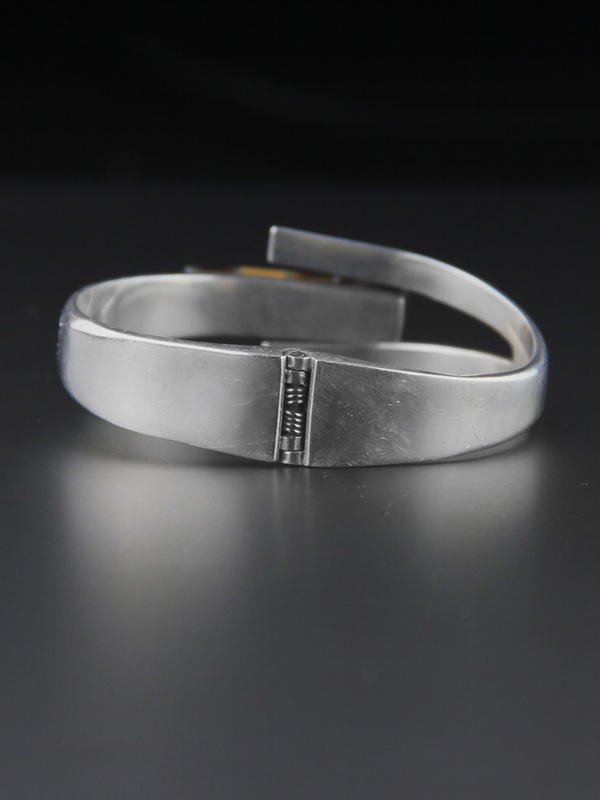 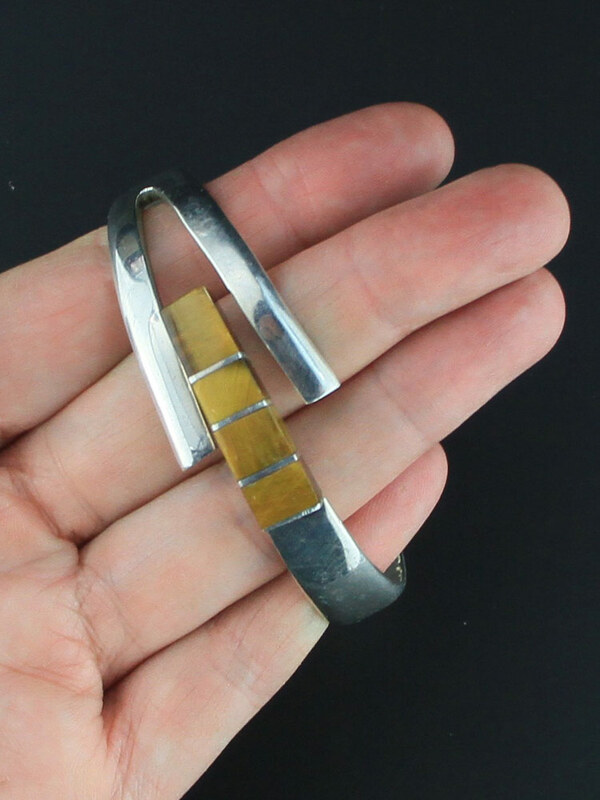 Amazing sterling silver modernist vintage cuff. 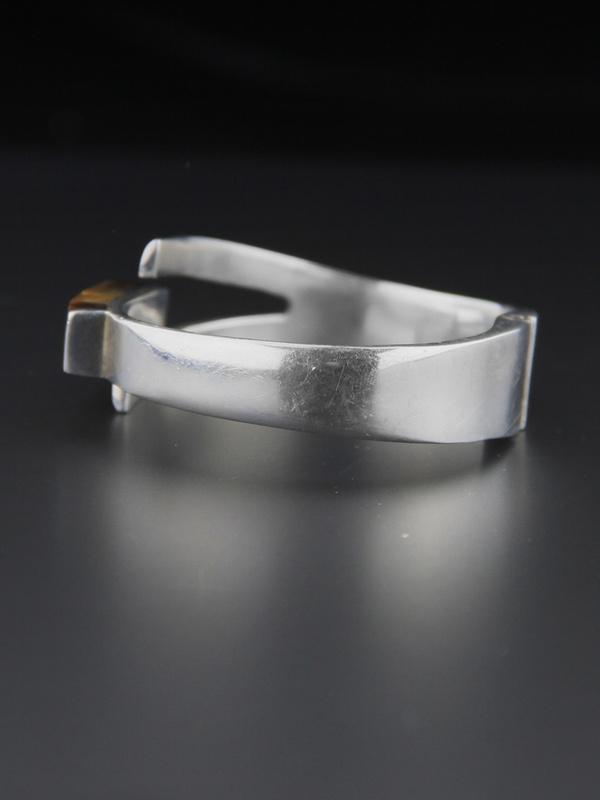 Handmade in Taxco, Mexico c1980s this is a heavy gauge of silver. 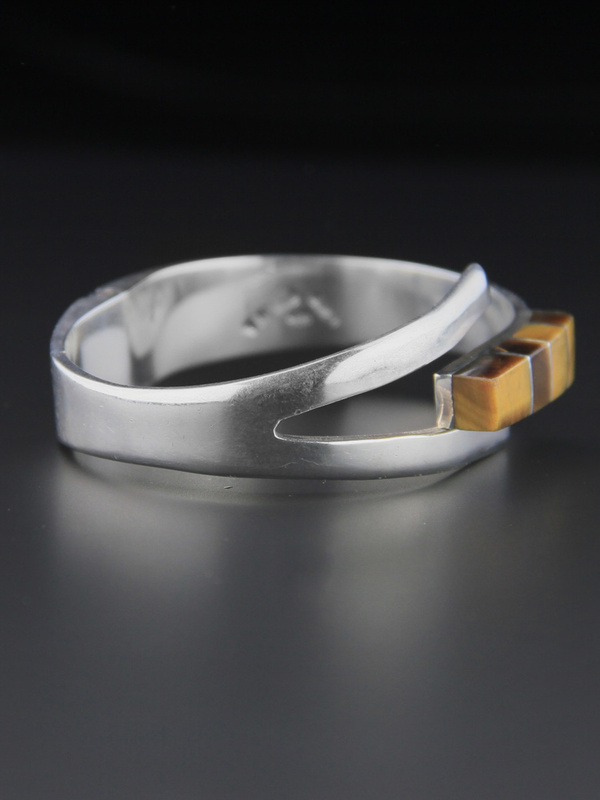 Hinged back with three square fingers that meet at the front - one is a smooth square rectangle of rich tigers eye with silver channel inlay. 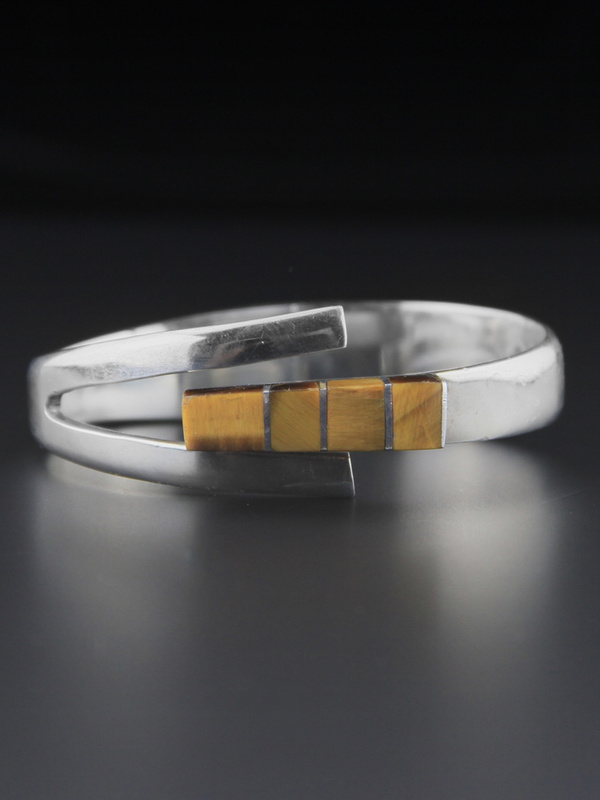 Spectacular sleek modernist design and very beautifully made, there is a matching necklace available.